For the third year in a row, a selection of top Dutch designers are representing the Netherlands at SXSW in Austin. 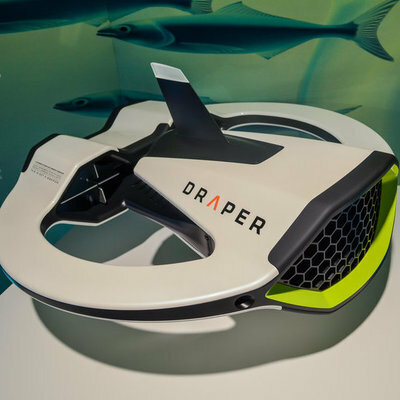 New Dutch Wave brings together six cross-disciplinary innovators who are thinking through some of the world's biggest issues and presenting new ways forward. They all seem to ask the question: "If not now then when?" The selected designers (including our very own Dave Hakkens) were chosen based on the following criteria: impact, innovation, experiment, and originality. Some, like Hakkens, will be expanding on existing projects, while others will debut new work at SXSW. Read on to find out more about three of the projects. Bas Timmer was inspired to create the Sheltersuit—a coat that doubles as a sleeping bag—after his friend's father was turned away from a maxed-out shelter and ended up dying of hypothermia on the streets. 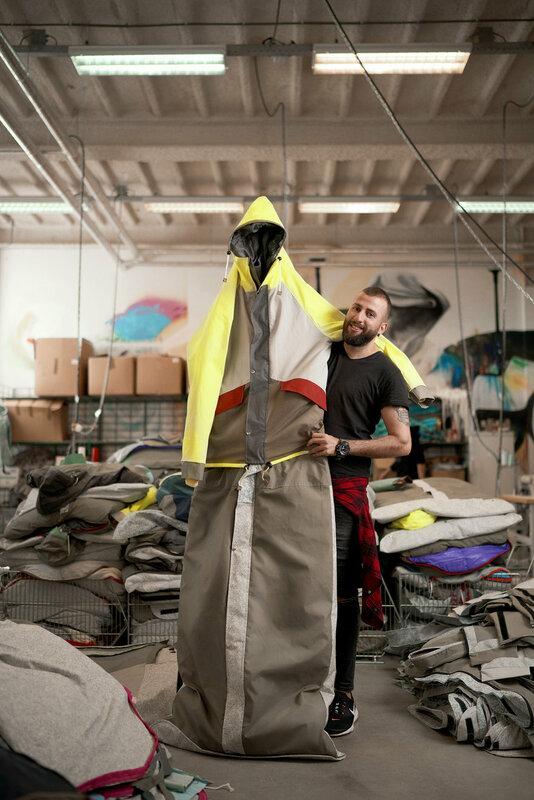 He used sleeping bags gathered from the aftermath of music festivals to create the first samples and launched Sheltersuit in 2014. Since then, Timmer has distributed 5,100 coats to refugees and homeless people around the world and picked up the Dutch Design Award in 2017 and the German Design Award in 2018. 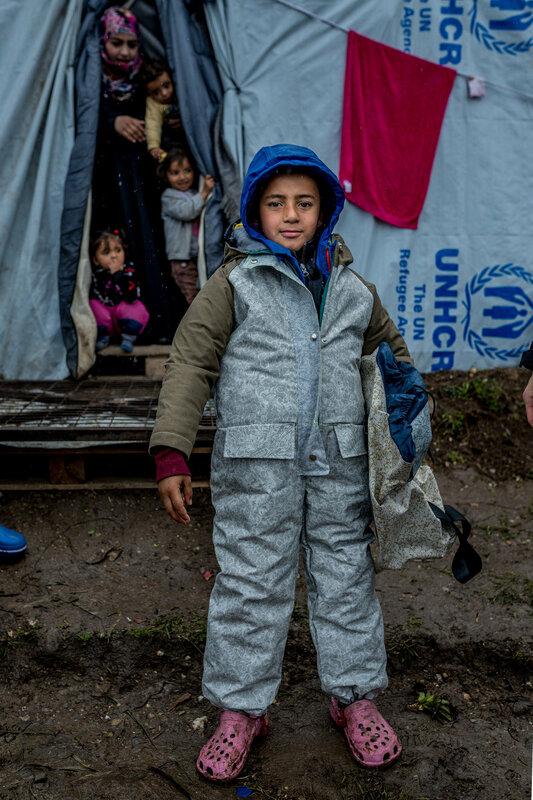 In addition to being wind and water-proof, the Sheltersuit is insulated and comes with a hood, an integrated scarf, and large pockets. The bottom portion zips on and off to give the wearer mobility and a seamless transition between the coat's two functions. The suit also comes with a backpack that can be used to store the coat/sleeping bag as needed. At SXSW, Timmer is introducing the latest evolution of his project: an Urban Safety Kit comprising the tools one would need to ensure their safety on the street: access to medical help, protection from violence, and connectivity. 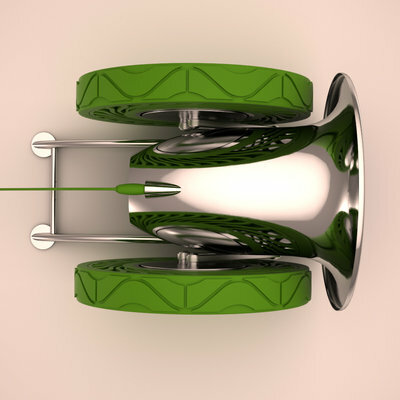 With support from various industry and research partners, Timmer has developed a prototype that embeds smart technology to tackle these issues. He's added sensors that pick up heart rate and body temperature and emit alarms if hypothermia is detected, as well as a proximity alert sensor that will react if a person is robbed, or worse. Timmer also integrated solar panels into his latest design which will allow wearers to charge their devices and remain connected to society. You're probably already familiar with Dave Hakkens' long-term project Precious Plastics. 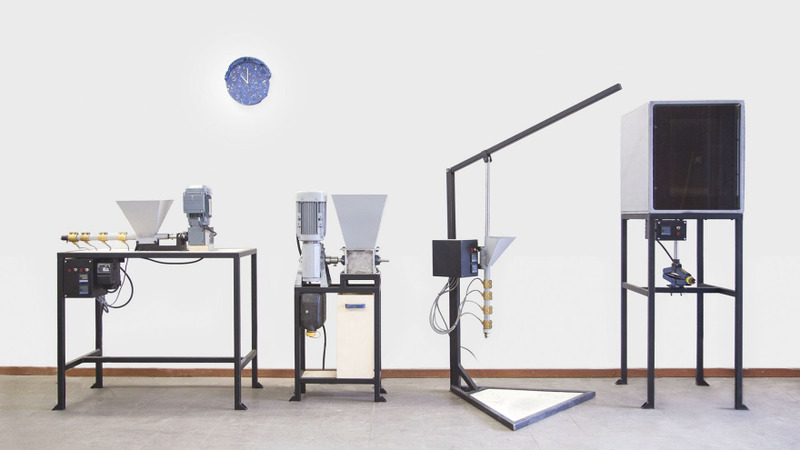 A few years ago the Dutch designer and Core77 contributor decided to take a grass-roots approach to the complicated process of large-scale recycling and developed simplified, DIY versions of industrial recycling machines that anyone could replicate. Maker spaces, workshops, and designers around the world have used the open-source instructions to build their own tools, recycle plastic and manufacture new plastic products on their own. Fundamentally a project about social engagement, Hakkens continues his movement at SXSW in a workshop developed alongside Andre Amaro. Together with 25 students from Texas University, they will pick up plastic waste around Austin's Waller Creek and immediately turn it into various one-of-a-kind products that will be available for sale. 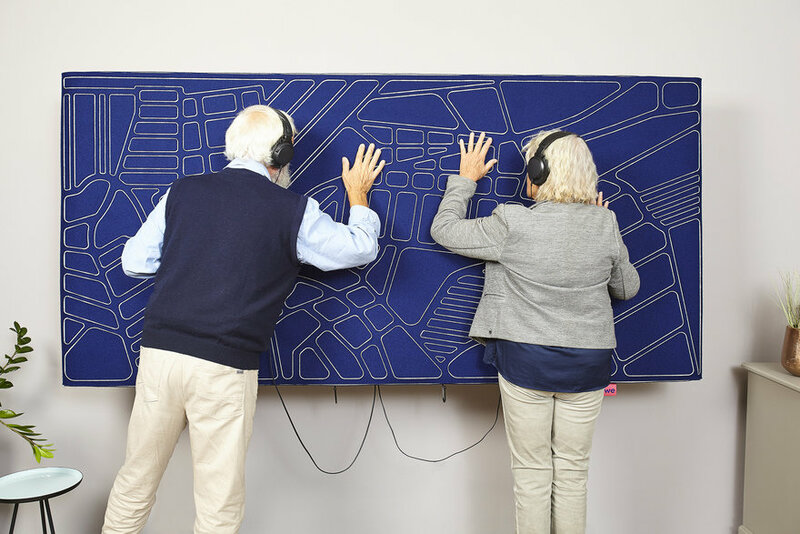 The KozieWe is an interactive wall tapestry that reacts to motion and allows users to generate their own musical compositions. 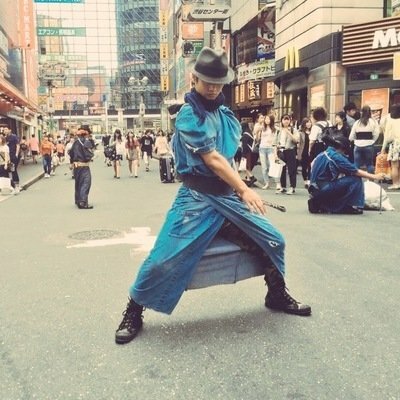 When you touch the wall, you'll hear an instrument playing. If another person starts interacting with it, another instrument will be heard, and so on. 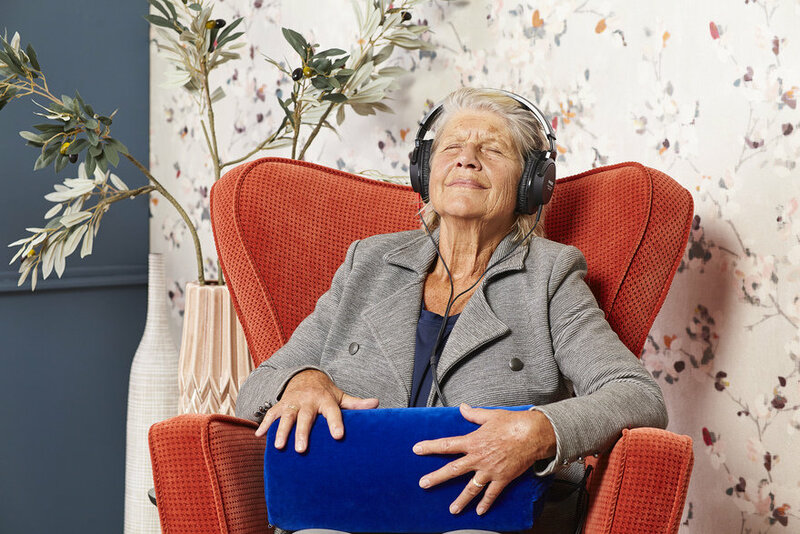 Tapping into research that shows a link between music, sound, and the recovery of memory, KozieWe has been used to help dementia patients living at home and in care facilities. The sounds can be personalized to better suit individuals. For example, a soundtrack of forest sounds might help a nature lover reconnect with those memories. Whereas the KozieWe was designed to foster connections between multiple people, Kortbeek and Meerman's latest design, the KozieMe, is more intimate. Inspired by research into multi-sensory environments, the design is a simple plush pillow with built-in speakers that are activated by touch. Highly intuitive, it has an SD card slot so it can be customized with personal messages. March 12 is Dutch Design Day at SXSW and participating designers will host a full day of events, including lectures and performances.